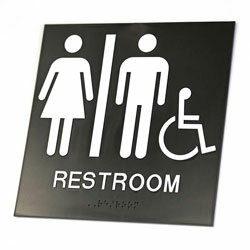 8" x 8" molded black ADA compliant signs (1/16" thick) include white tactile graphics and grade 2 braille. 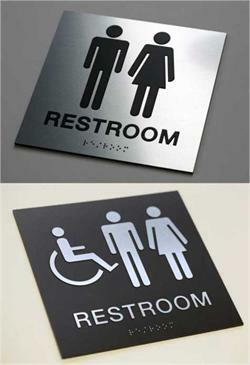 These are available with man, woman, and handicap accessible graphics in the black with white color combination only. 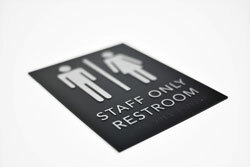 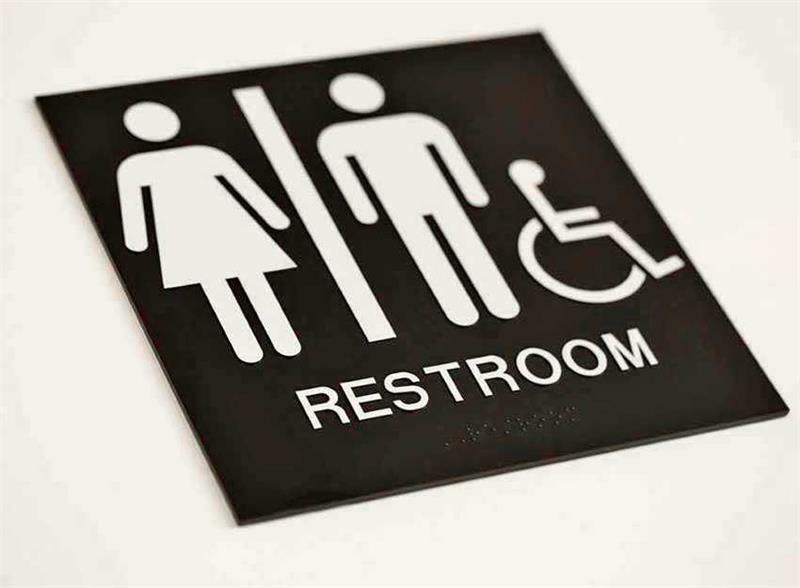 These interior restroom signs are made of injection molded, scratch-resistance plastic that makes them durable and easy to clean. 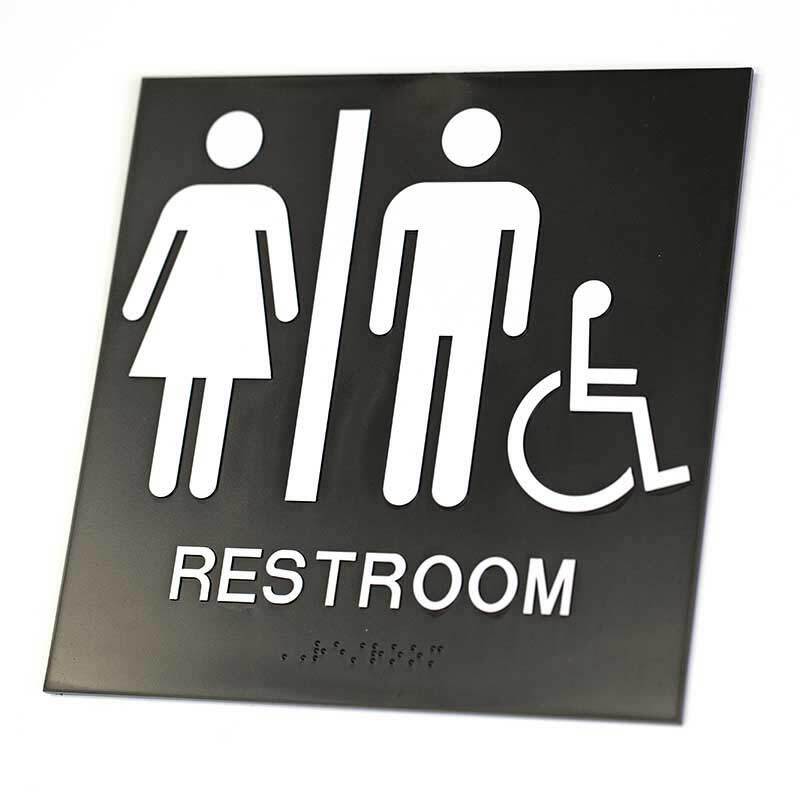 All gender signs include standard RESTROOM text, Male signs include MEN, Female signs include WOMEN, and Wheelchair only signs include ACCESSIBLE text. 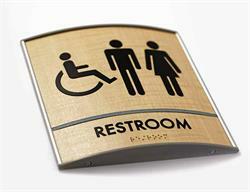 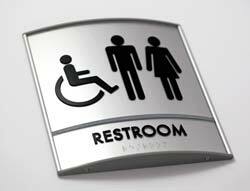 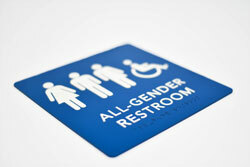 An accessible wheelchair graphic is an available option on any bathroom sign. 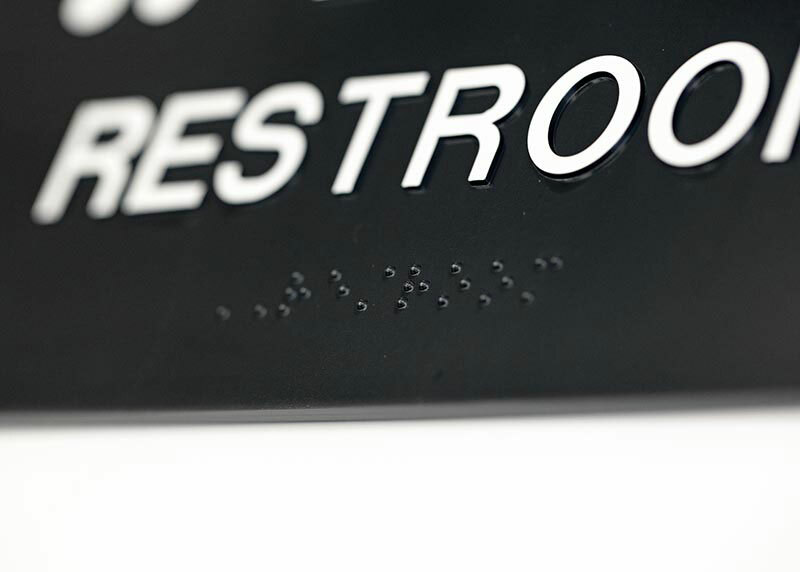 Economical stock braille signs ship right away. 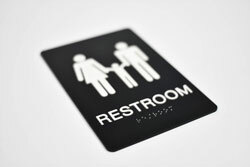 Not available in custom designs or colors.